In spite of being one of the most successful and decorated athletes in Olympic history, swimmer Michael Phelps has admitted that he struggles with mental health issues. He recently revealed to the public that he has experienced several depression spells throughout his life and even came to the point of having suicidal thoughts. He spoke candidly about his experiences with mental health issues for the conference of the Kennedy Forum, a behavioral health advocacy group. Phelps was interviewed at the conference by political strategist David Axelrod and gave a 20 minute discussion about his battles with anxiety and depression. He admitted that he had even contemplated suicide after winning the gold medal at the 2012 Olympics at the height of his career. His struggles with depression were something that he dealt with for many years throughout his amazing athletic success. 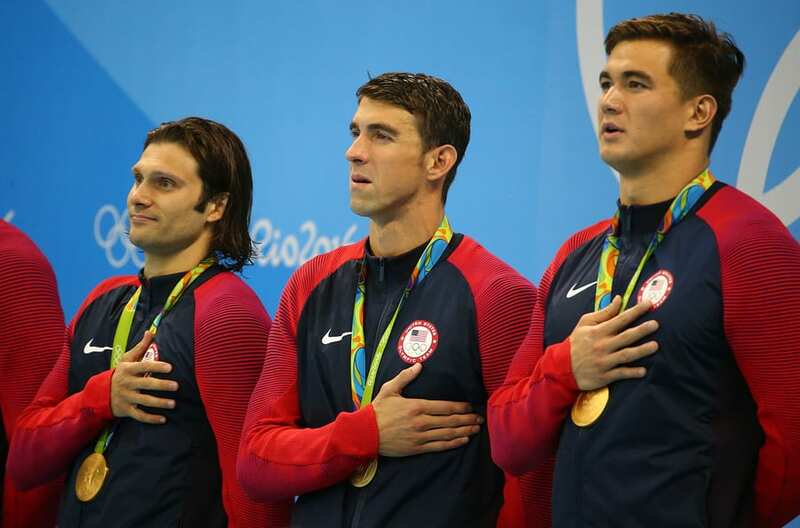 Phelps finally got help in 2012 after two DUIs and accusations of drug abuse tainted his image and made him question whether to take his own life. His drive for success and perfection is part of the intensity that led him to experience serious bouts of depression. Now the father of a baby boy and expecting his second child with his wife, Nicole Johnson, Phelps is in a better place and able to talk about the darkest periods of his life. While speaking at the conference, Phelps admitted that he first began to experience depression spells when he was just 15 years old. It was in 2004 when he had just won his first gold medal at the Athens Olympic games that he fell into a state of major depression. Phelps went on to say that since then, he experienced a serious bout of depression after every Olympics. After the 2008 Beijing Olympics, in spite of winning 8 record breaking gold medals in swimming, Phelps struggled again with his feelings of depression. He began to self-medicate by using drugs like marijuana which helped him temporarily escape his feelings. After images of him smoking from a bong began to emerge, his all-American image became stained by his self-medicating behavior. Phelps continued to go through the cycle of depression at the same time every year around October and November. His lowest point came after the 2012 Olympics where he felt that he didn’t want to be involved in the sport anymore and didn’t even want to be alive. His depression became so bad that year that he would sit alone in his room for days, not sleeping and barely eating while contemplating suicide. He finally decided that he needed to get help and went to get treatment for his depression. Treatment was difficult at first and a big change for him but finally talking about his emotions started to make his life feel much easier. He wondered at the time why he didn’t get help years ago when his depression first began but deep down knew it was because he wasn’t ready until then. After years of suffering in silence, Phelps has recovered from his depression and is ready to talk about his experiences as a way to fight the stigma about mental illness. His goal is to encourage others to seek help as early as possible so that they don’t have to live with depression for as long as he did. In the past, Phelps would never talk about what he was dealing with but now he wants to give people the encouragement to be honest and open about their feelings of depression. The swimmer started the Michael Phelps Foundation which offers programs to keep kids active and healthy through swimming. The foundation has also started including stress management programs to help kids and teens deal with their emotions through healthy coping strategies. Phelps has said that helping other people through his foundation has been much more rewarding than any of his athletic success. Phelps knows from experience that the stigma around depression can prevent people from seeking help or talking to someone about what they are going through. He says that suicide rates are continuing to increase because people are afraid to talk about depression and mental illness. He hopes that reducing the stigma will give people the courage to seek help early and prevent them from having to living with depression and thoughts of suicide. Phelps credits his experiences in therapy as the reason for his ability to successfully recover and bounce back from the cycle of depression. He says that he is extremely grateful that he did not take his own life. He is now making efforts to help others through the work he has done in his foundation and by speaking honestly about what he went through so that people know they are not alone.